This Situation Update describes events occurring in Kyonedoe Township, Dooplaya District during the period between September and December 2013. It details concerns expressed by villagers regarding the loss of farmland and forest due to infrastructure development, logging and large-scale rubber cultivation, environmental pollution from industrial projects, restrictions on freedom of movement, forced labour, obstacles to education, serious healthcare problems and a general absence of the rule of law. Whilst armed conflict has decreased since the signing of the preliminary ceasefire agreement between the Burma/Myanmar government and the Karen National Union in January 2012, armed actors continued to operate in Kyonedoe Township, enforcing travel restrictions, demanding forced labour and collecting taxes, as well as engaging in the sale of forest land for cultivation and the drug trade. 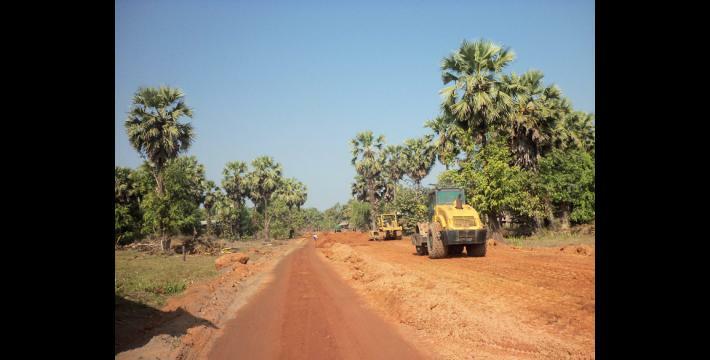 Villagers reported that people who rely on hill field farming for their livelihoods face a general shortage of available land to cultivate, after land owners and local armed actors organised the sale of large amounts of land to rubber cultivators from other areas. Similarly, large amounts of forest has been lost after local armed actors sold it to cultivators who cleared it to establish rubber plantations, leading to a shortage of natural materials used by villagers in the construction of houses, such as bamboo poles. Villagers in KyainseikgyiTownship reported environmental pollution and associated health problems as a result of mining projects and the operation of a kiln in the area. Villagers in Kawkareik Township reported serious health problems after taking medicine for elephantiasis distributed by the Burma/Myanmar government, including one case of miscarriage. Members of the Democratic Karen Benevolent Army (DKBA) and Karen Peace Force (KPF) operated checkpoints and collected taxes from travellers. The following Situation Update was received by KHRG in February 2014. It was written by a community member in Dooplaya District who has been trained by KHRG to monitor local human rights conditions. It is presented below translated exactly as originally written, save for minor edits for clarity and security. This report was received along with 257 photographs. Period – between September and December 2013. Area – Kyonedoe Township, Dooplaya District. This report describes the situation of civilians from villages in Kyonedoe Township, including the political situation, [political and social] organizing [by the Karen National Union], healthcare, education and human rights. This is an area where all armed actors including the Tatmadaw, BGF [Border Guard Force], DKBA [Democratic Karen Benevolent Army], KPF [Karen Peace Force] and the KNU [Karen National Union] are active. Karen people are mostly farming, working on plantations and [engaging in] cultivation for their livelihoods. Summer paddy [paddy grown in summer time rather than in the rainy season] is grown in Kyonedoe Township. There was very little rain at the end of the last rainy season, and the water dried up because of climate change and some farms could not be worked on. Some NGOs came to some of the villages in the area. CWS [Church World Service] provided one basket of paddy seed [of a value of] 5,000 kyat (US $5.13) to the farmers whose fields were affected by the flooding. The UNDP [United Nations Development Programme] supported agriculture and [animal] husbandry for poor people in order to eliminate poverty. UNICEF [the United Nations Children's Fund] helped the villagers with healthcare and education. We can say that poor people who do not have land and do hill field farming have almost no land to cultivate. This is because there are many [different] authorities [armed actors] in the area, and the soldiers and some villagers worked together and sold the land to rich people from other areas, and the rich people are growing rubber trees. Therefore, it is hard for the local people to do cultivation and hard for them to find wood, bamboo, leaves for roofing and posts for fencing when they build houses. Now they have to pay 500 kyat (US $0.51) for one bamboo [pole] and 500 kyat for one fence post. There are 75,320.09 acres of forest in Kyonedoe Township and the civilians could not protect it after the emergence of the DKBA, BGF and KPC [KNU/KNLA Peace Council]. These armed actors demarcated the forest into plots and sold it to rich people from other places. The civilians dare not say anything because [those responsible] are armed actors. According to the local forestry leader of the KNU [administrative official in the KNU Forestry Department], only one-third of the forest is left [has not been logged]. It was easy to protect the forest when there were only the KNU and the Burmese government [in the area]. Because there are so many armed actors [now], some people said that we would have to call the forest a rubber plantation [because armed actors, villagers and business people from other areas grow so many rubber trees there]. 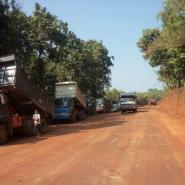 Because the KNU has signed the preliminary ceasefire with the Burmese government, for the development of the region the KNU allowed the government to construct and repair bridges and three concrete vehicle roads in Brigade #6, Dooplaya District, between Than Phyu Za Yap and Hpa Ya Thone Su, Kyainseikgyi and Kyeh Don, and Kawkareik via A’ Zinn to Paing K’ Ler and Taung Ka Lay. When the companies came and worked on the three roads, they widened the narrow parts of the roads and straightened the curved roads [constructed new sections of road to cut across particularly curved sections of the existing road in order to shorten it]. As a result, the farms and plantations of some villagers were destroyed. Some of the owners of the land that was destroyed said that they would be very happy if they received proper compensation. Some villagers and the village administrators said that they do not dare to report human right abuses and the problems in the villages as they do not have extra heads [a darkly sarcastic expression meaning they don’t want to risk speaking out for fear that their heads may be cut off]. Armed conflict is the only [kind of problem] that has decreased during the ceasefire, and the villagers still have to pay tax and do Loh ah pay. Some villagers reported that the number of young people who are using drugs is increasing because there are many organizations [armed actors involved in the drug trade]. 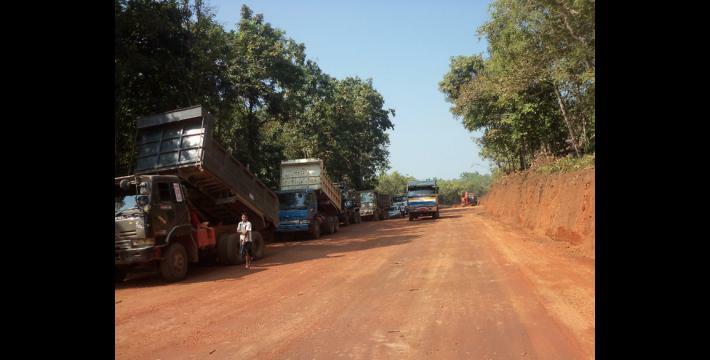 There is a lot of mining happening in Noh T'Kaw [Kyainseikgyi]Township in Dooplaya District and many [mining] companies are coming in. In particular, mining that produces antimony in Ta Mo Theh village pollutes Win Lon stream because polluted water from the mine flows into the stream. Moreover, a kiln that was built by a Chinese company emits smoke into the air when it is running and people get dizzy and have headaches when they breath it, and people get diarrhoea when they touch the ashes produced by the kiln. Nine villages from that area [KyainseikgyiTownship] rely on the Win Lon stream [for drinking water]. Villagers who do not have wells use the water from the Win Lon stream. Moreover buffalos, cattle, pigs and other animals from the villages along the stream drink water from the Win Lon stream in the summer time. The village administrator of Win Lon reported on November 11th 2013 that the villagers worry that the [animals] will get diseases if they drink water from the stream often. The villagers built schools by themselves and hired teachers by giving them 40 to 60 baskets of paddy for one year because they realize that education is vital. [Community founded] schools in some villages have to join with government schools, otherwise they [the students] cannot attend middle school because the government does not recognize them [the local schools established by villagers]. The government does not recognize the people who pass tenth standard in KNU schools or people who pass tenth standard in refugee camps on the border. The teachers that are appointed by the government get a salary but the villagers have to provide them with rice, cooking oil, salt, coal, curry, travel [expenses when they attend training or meetings], sickness [expenses to pay for medicine] and everything. Both teachers hired [by the villagers] and those appointed by the government [and sent to teaching posts in different areas of the country] have to attend training or sit exams once every three or four months. [The training sessions or exams] take between two days and one month [to complete], and because there are no teachers to replace them [while they are in training or sitting exams] it disrupts the education of the students. The students have to pay school fees and fees for other things in some government primary schools even though the students get free books and pens provided by UNICEF. The schools built by the villagers by themselves and the teachers hired by the villagers receive stationary, sports equipment and money for the teachers from the KED [Karen Education Department]. Healthcare is very important for the civilians. The government appointed [local village heads] as village administrators and assigned medics to some villages. Sometimes patients from the villages receive medicine for free and sometime they have to pay money, because the government does not provide all medicines for free. WHA from the side of military government led by Doctor Saw Moe Myint Win distributed elephantiasis medicine to 1144 villagers from 254 households from 25 villages in Kyeh Don Sub-Township, Kawkareik Township on September 9th 2013. The last day of the vaccination was September 19th 2013. Doctor Saw Moe Myint Win and his superior medics together with teachers from the villages distributed elephantiasis medicine to the villagers in that area. They informed the villagers via the village tract leaders [who then informed] the ten households leaders [and then the ten households leaders informed the households they represent]. They said that people who have heart disease, patients with gastric illnesses, pregnant women and people with chronic illnesses should not take the medicine. There was no equipment for [diagnostic] examinations. There was only one pot [of water] and one cup [which the villagers had to share] to take the medicine, [which had to be swallowed in pill form]. The ten households leaders had to distribute the medicine to those who could not come [to receive the medicine initially]. Some people who took the medicine felt dizzy, vomited and felt itchy, [the side effects also reportedly included one case of] miscarriage and [some] some men’s testicles became swollen as a consequence. People from Kyonedoe Township suffered the same things after they took the medicine. A malaria elimination team of the government came and distributed mosquito nets for free but they asked for 500 kyat (US $0.51) from the villagers as a transportation fee for each mosquito net. A Back Pack Health Worker Team, the FBR [Free Burma Rangers] and a malaria elimination group from the KNU come [to the village] twice per year. Also, CIDKP [the Committee for Internally Displace Karen People] and KORD [the Karen Office of Relief and Development] help the villagers when it is necessary. They distribute medicines and mosquito nets for free. 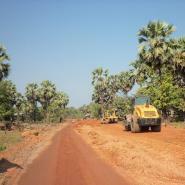 The KNU could not establish a township level administration in this area. So they are operating as an organizing committee. They have nine members in the organizing committee and they are each given responsibility for one department. As for the military, there are three platoons of the KNDO [the Karen National Defence Organization] and they are given responsibility in three different places. They are working together with the [KNU] administration group and they report what they need to the district office and brigade office. The movement of government soldiers [from the Tatmadaw] in Kyonedoe Township is decreasing. BGF Battalion #1012 set up their base camp in Noh Lone village and they also built a small camp in Htee Hu Than village. There are 20 government soldiers [the Tatmadaw] who always stay with the BGF soldiers in the Noh Lone camp. People do not see them doing anything to benefit civilians. Mostly they run gambling games during Ar Wer days and collect money from that. The DKBA is traveling and operating in this area. We do not see them doing anything to benefit civilians. They are collecting tax from saw mills, cars [which pass checkpoints], 50,000 kyat (US $51.33) for one phone, 100,000 kyat (US $102.67) [to be allowed to own] one elephant [for one year], 100,000 kyat for one wild yam stove, rubber plantations, and they collect money from [travellers at] check points. The KPF are not very active and they do not do anything that benefits civilians. They set up checkpoints and collect tax [from travellers who pass the checkpoints]. There is no KPC battalion [based in this area]. There are [individual] members of the KPC [who live in the area] and they are doing nothing that benefits civilians. They are just like the superior soldiers of the KPF and the DKBA, and have relationships with rich people and sell land. Social problems, land problems, judicial [problems], and killing cases are occurring in the Kyonedoe Township [KNU organizing committee] area as there are many armed actors. Therefore, the rule of law and security for the civilians is weak. The problems that are happening now are very difficult for the responsible people to solve. The Karen Peace Force was formed in February 1997 after splitting from the KNU/KNLA and surrendering to and signing a ceasefire with the Burmese military government. The KPF controls some administrative areas in Three Pagodas Pass and operates a number of road and river checkpoints in the area of Three Pagodas Pass. Following repeated rejections of Burmese government proposals to reform KPF into the Tatmadaw Border Guard, substantial elements have since reformed in the Tatmadaw Border Guard in 2010 while others remain independent. All conversion estimates for the Kyat in this report are based on the 28 July 2014 official market rate of 974 kyat to the US $1. The mathematical logic is not coherent, but the poem expresses a humorous frustration that there are such a large number of checkpoints in the area. It is unclear what this acronym refers to. ‘Ten households leader’ is a common term used to refer to villagers who are chosen by their communities to help manage the civil affairs of 10 or so households in a village. They work closely with the village head. However, some villagers claim that they were not informed about the possible side effects of taking the medicine before it was distributed. ‘Ar Wer’ is a term used to describe special days, hence the expression ‘Ar Wer day.’ Ar Wer day events typically involve celebrations to mark a special occasion such as the building of a new pagoda. Sometimes, people also engage in illicit activities such as gambling and drug use on Ar Wer days.